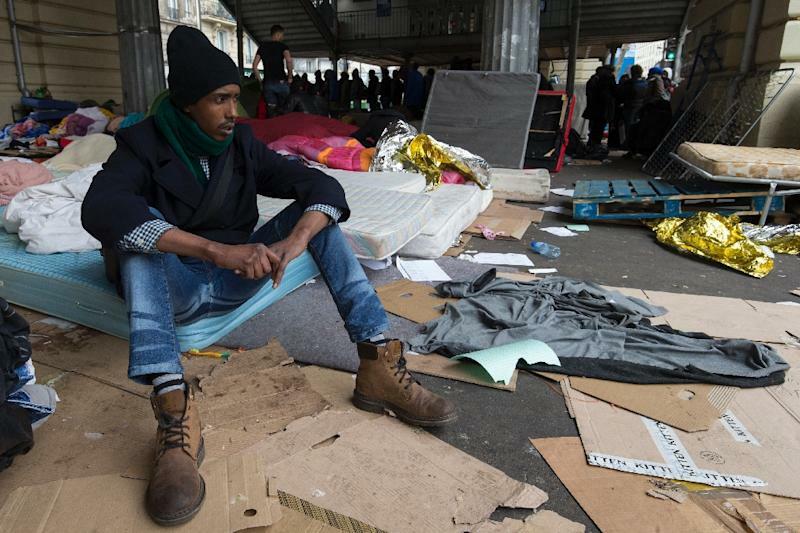 Paris (AFP) - Paris authorities on Wednesday evacuated 985 migrants from a large camp that mushroomed this month in the east of the French capital. The mayor's office said in a statement that the migrants -- mostly from Sudan, Eritrea and Afghanistan -- would be housed in emergency shelters for a month, allowing them to begin the asylum process. "I don't know where we are going, but it will always be better than here," said Ahmed, an Afghan who said he was fleeing "the war and the Taliban". He is one of several of the migrants to have come from the grim "Jungle" camp in the northern port city of Calais, parts of which were cleared away by authorities earlier this month. The French government is trying to limit the size of the "Jungle", now home to about 3,500 people, and persuade migrants to give up on their dream of reaching Britain and apply for asylum in France. Tightened security has reduced nightly bids to sneak onto trucks or storm the port, and increasing numbers of migrants appear to be giving up and coming to Paris. The Paris camp sprung up underneath an elevated section of the metro train track, and some 400 people were evacuated on March 7 and taken to shelters, but the camp quickly reformed. "The pace is increasing, I think there are a large number of people who were in Calais and who are coming to Paris," said regional government official Sophie Brocas.